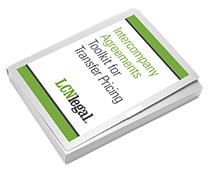 Intercompany agreements have long been recognised as an essential part of transfer pricing risk management. Although this aspect is often “owned” by the tax functions of large corporates, the members of those teams are often unaware of the wider implications of intercompany agreements, including enforcement and defence of intellectual property, ring-fencing liability risks, limiting directors’ exposure to personal liabilities, and corporate governance. 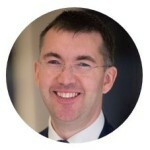 LCN Legal has launched a series of free seminars to educate people on the implications of intercompany agreements, and how to put them in place. These free training sessions are exclusively for tax, transfer pricing and finance professionals in large corporates which are affected by transfer pricing issues. For details of our training sessions for in-house legal counsel on transfer pricing and intercompany agreements, click here. Participants in this training will receive an introduction to the practicalities of putting in place legal agreements to support a group’s transfer pricing strategy. What are the most common mistakes which corporates make in relation to intercompany agreements? What are the most common types of intercompany agreement? What options are there as regards the format of intercompany agreements? How detailed should intercompany agreements be? How should we manage the signature of intercompany agreements? What ongoing processes and systems will need to be in place? Where should corporates start in a project to create or update appropriate intercompany agreements? The seminars will be held by telephone conference on dates to be announced. Each seminar will run for approximately 50 minutes. Each session will have no more than 5 delegates, to allow participants to ask their own questions at the end. To request a place on one of these seminars, please contact Sonia Polden by email at sonia.polden@lcnlegal.com or by telephone on +44 20 3286 8868. Places will be allocated on a first-come, first-served basis.